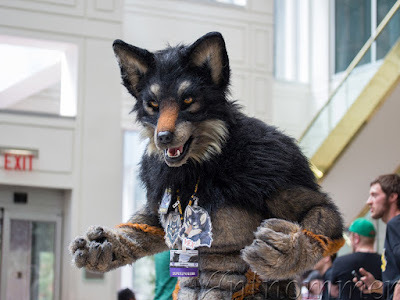 At previous Anthrocons, I'd see many other photographers around, carrying anything from a basic point-and-shoot on up to DSLRs on harness rigs with bulky flashes and massive lenses. Yet, I'd also notice these photographers were often around only for specific events, like the parade. 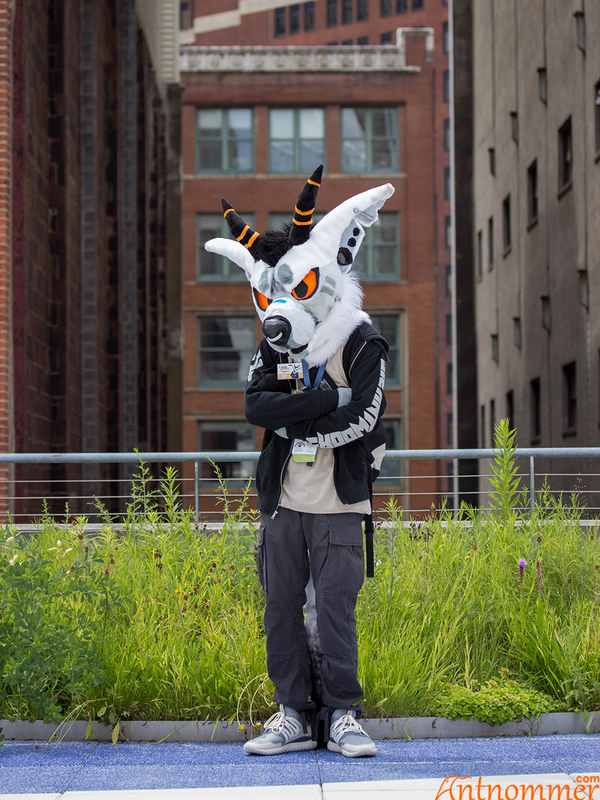 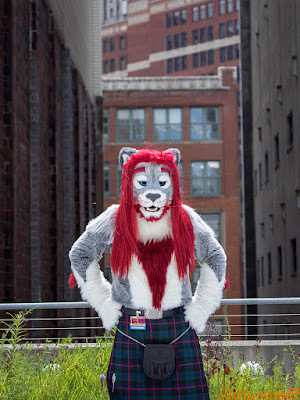 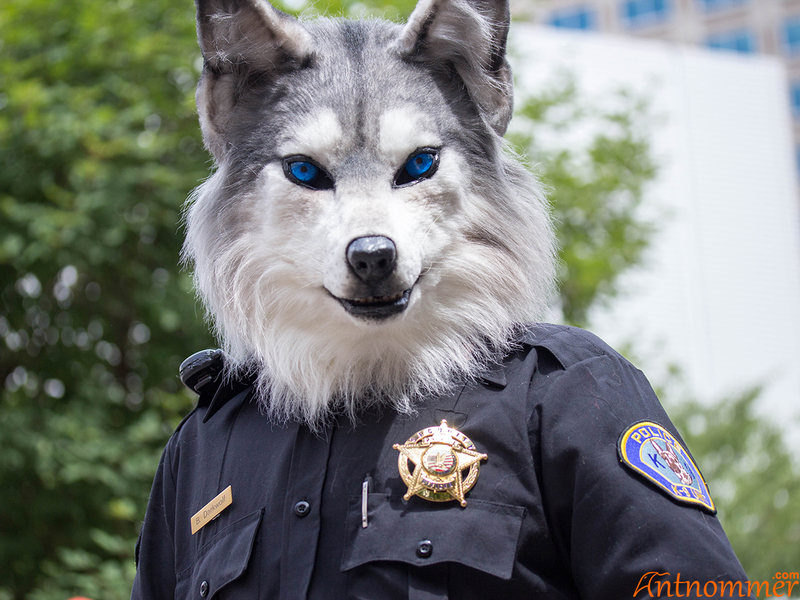 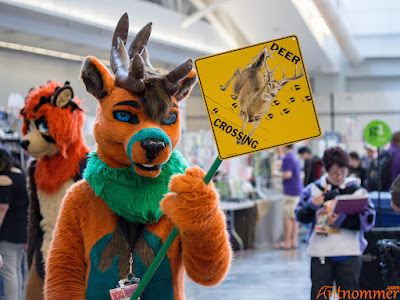 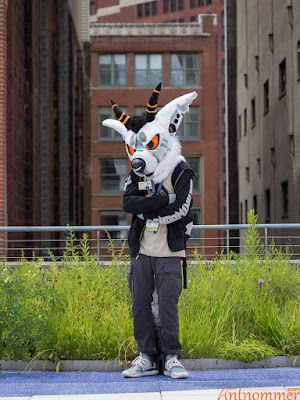 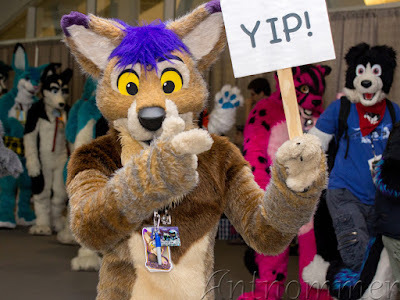 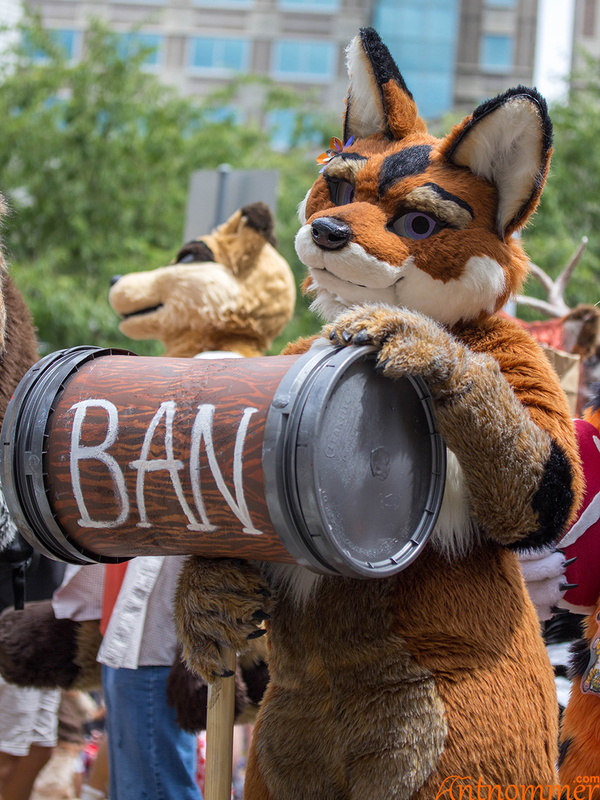 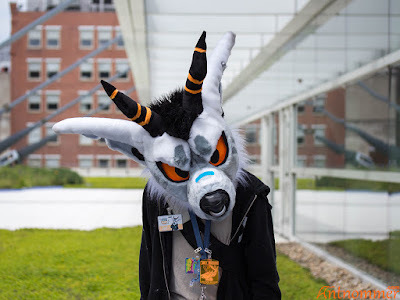 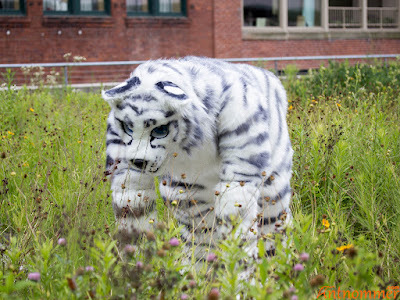 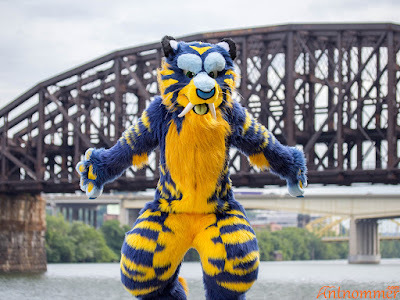 Judging by the journal entries and social media posts following Anthrocon, few of these photographers even put their shots online. 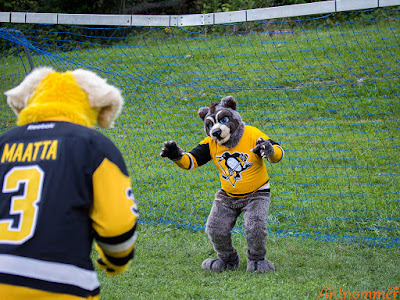 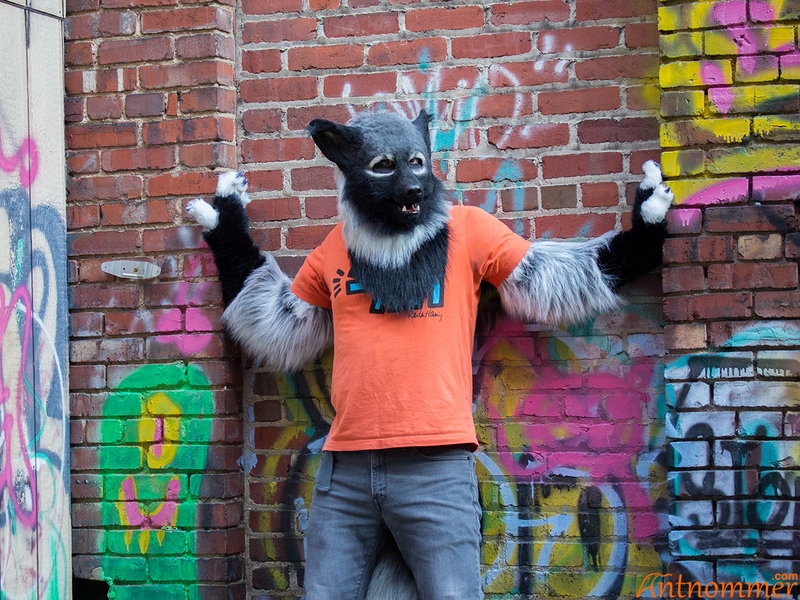 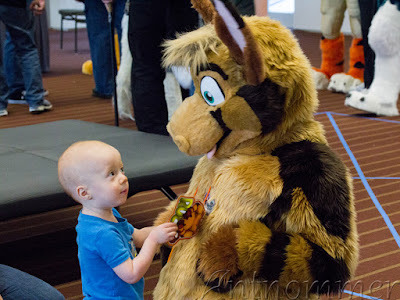 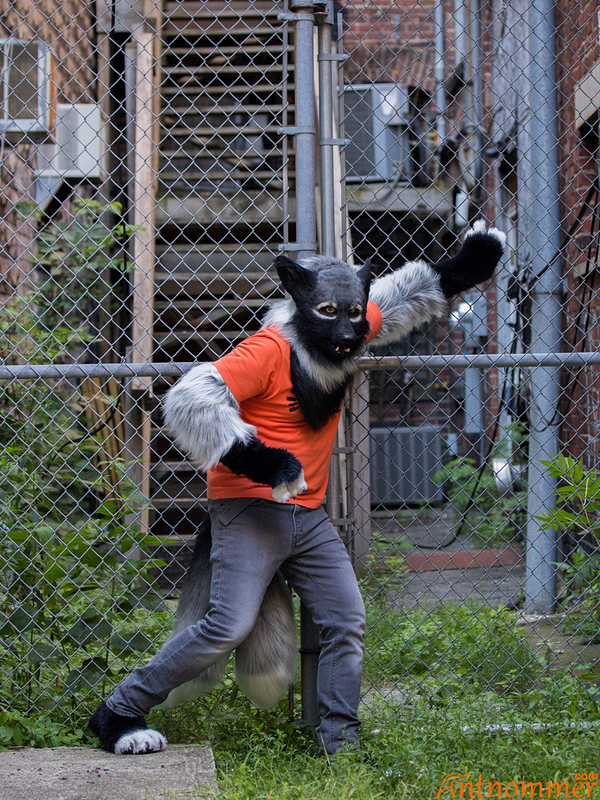 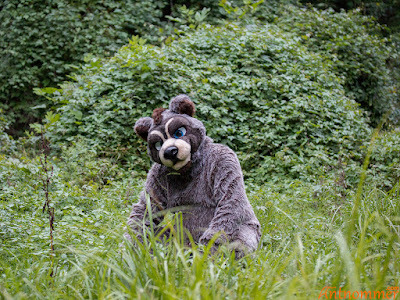 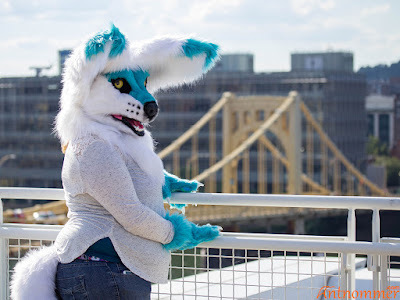 So before Anthrocon in 2016, I had the idea of doing fursuit photo commissions. 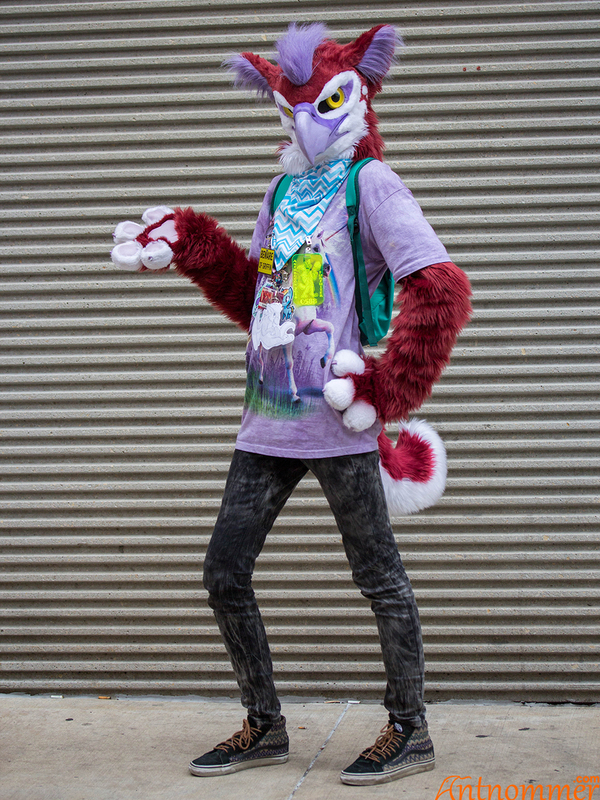 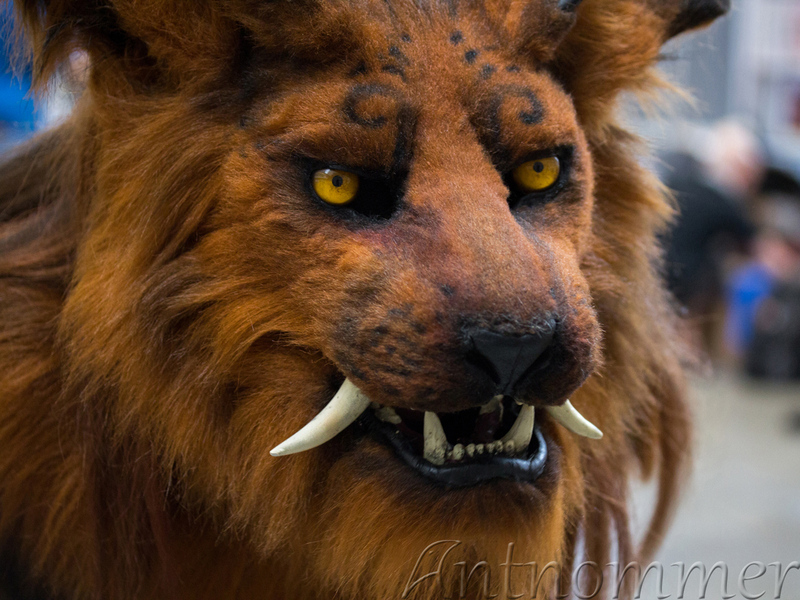 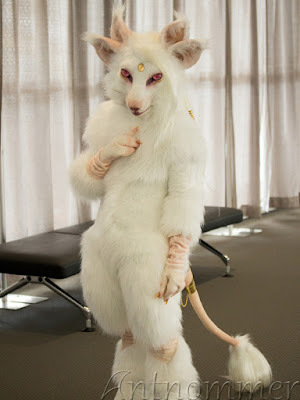 I'd take several shots of a suiter, have them pick out a few to be processed, and then give them full-sized, unwatermarked copies of all of the shots taken. Commissioners could be guaranteed to get photos of themselves at the convention, and I could earn some pocket money for the con. 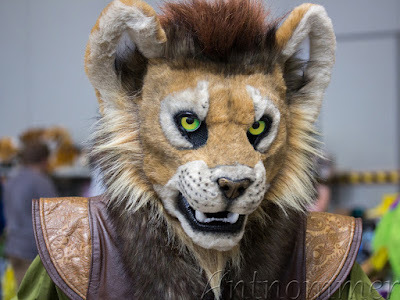 I opened for a few slots, which surprisingly filled very quickly, and made enough from it to cover my admission to the con and a couple of items from the dealer's den. Since then, I've continued doing commissions for locals around the city, and am looking forward to doing more for the next convention. 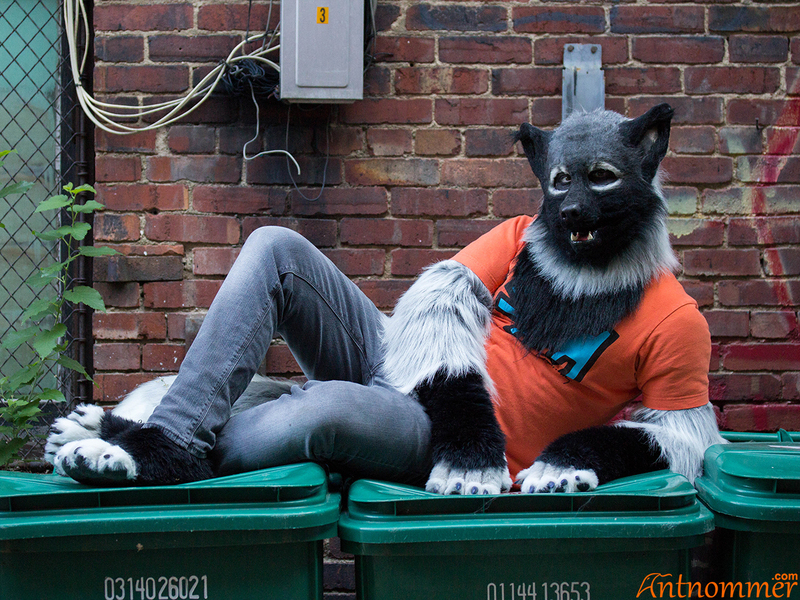 Below are the cropped and watermarked versions of shots chosen for processing by the commissioners. They were very happy with the results! 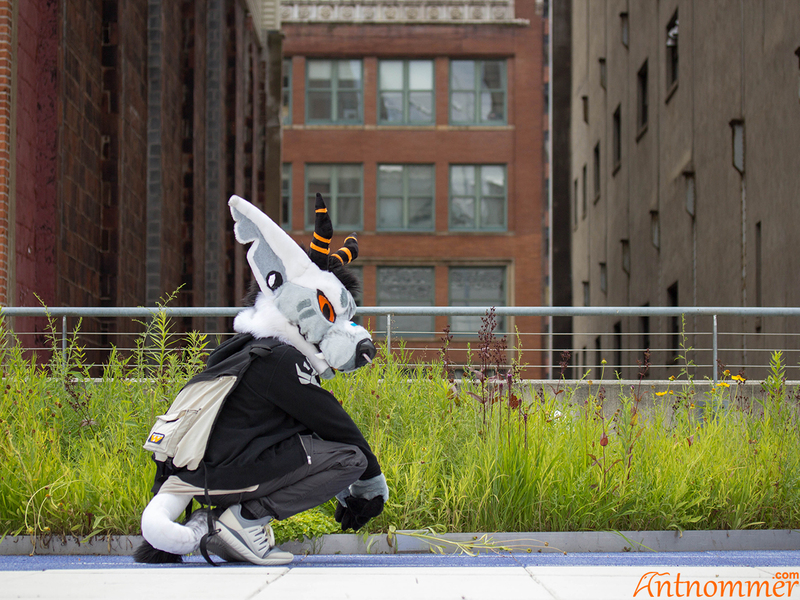 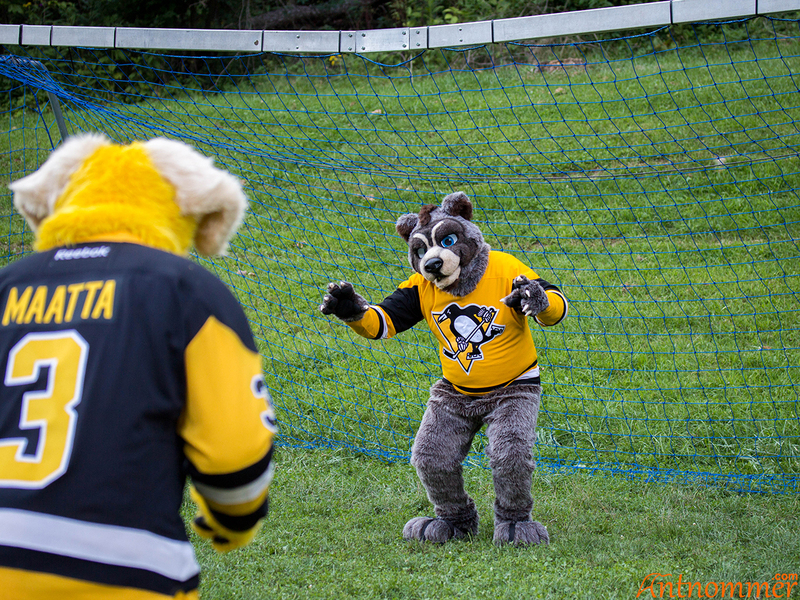 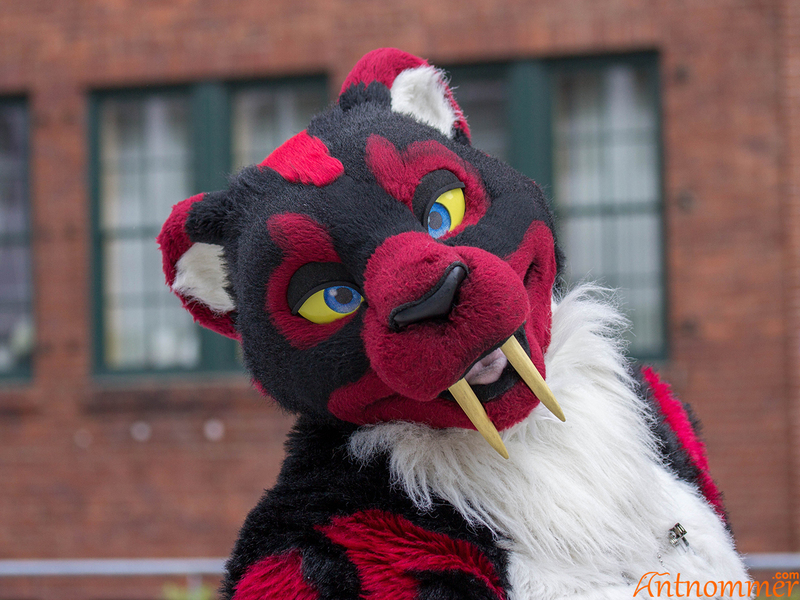 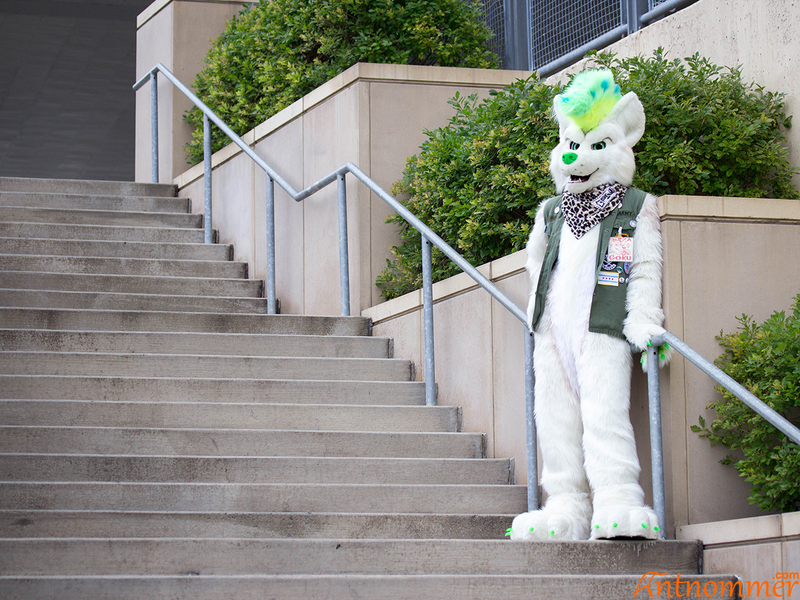 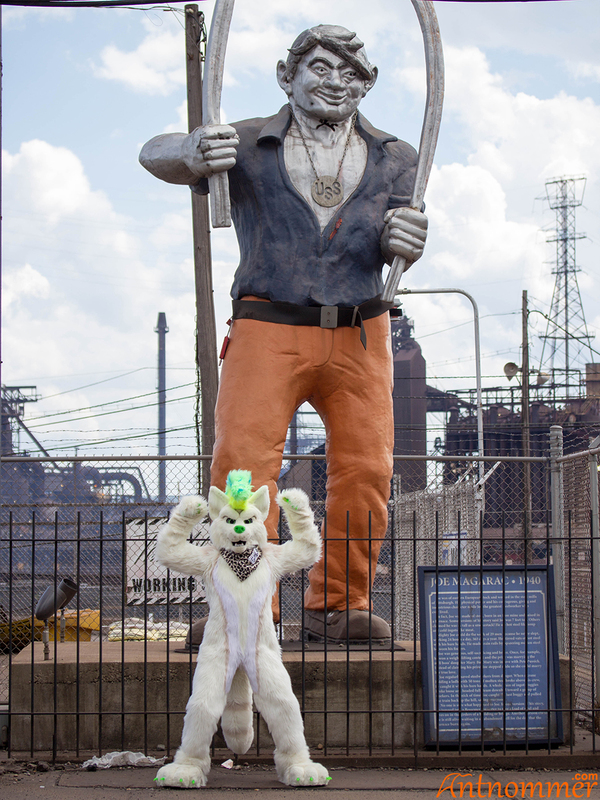 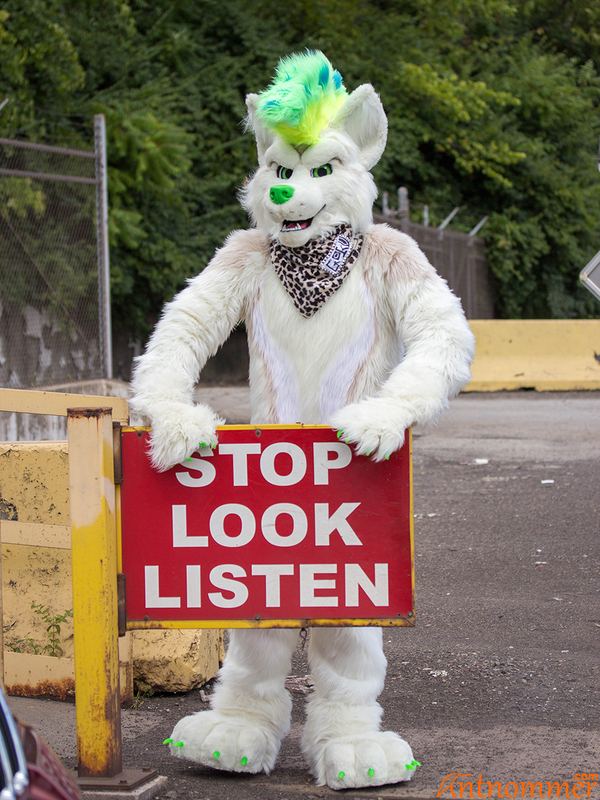 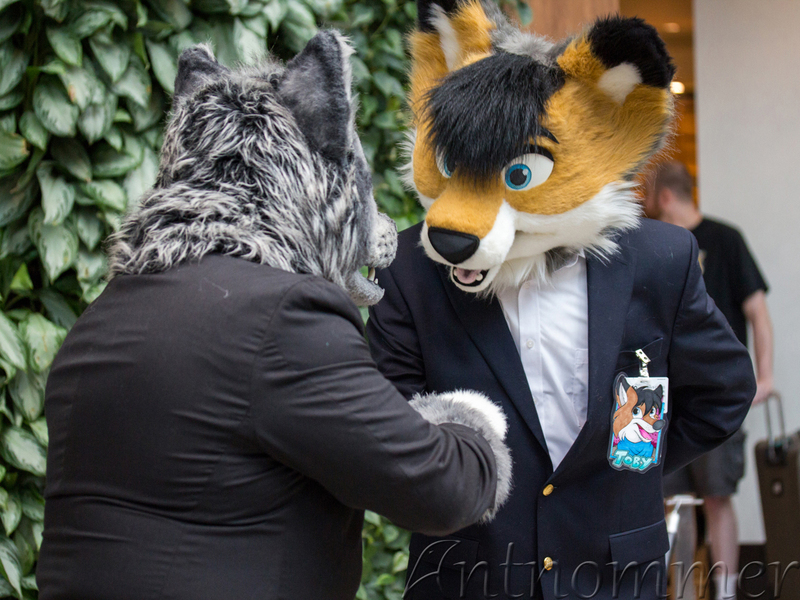 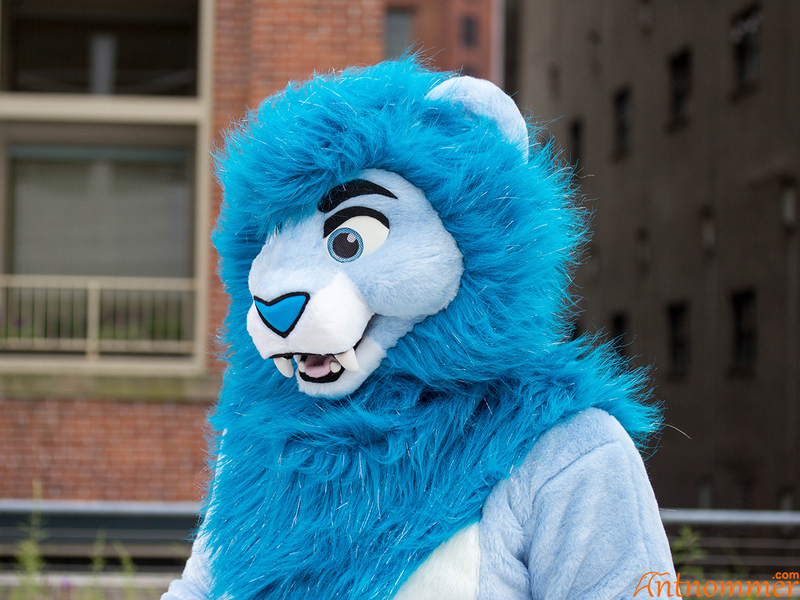 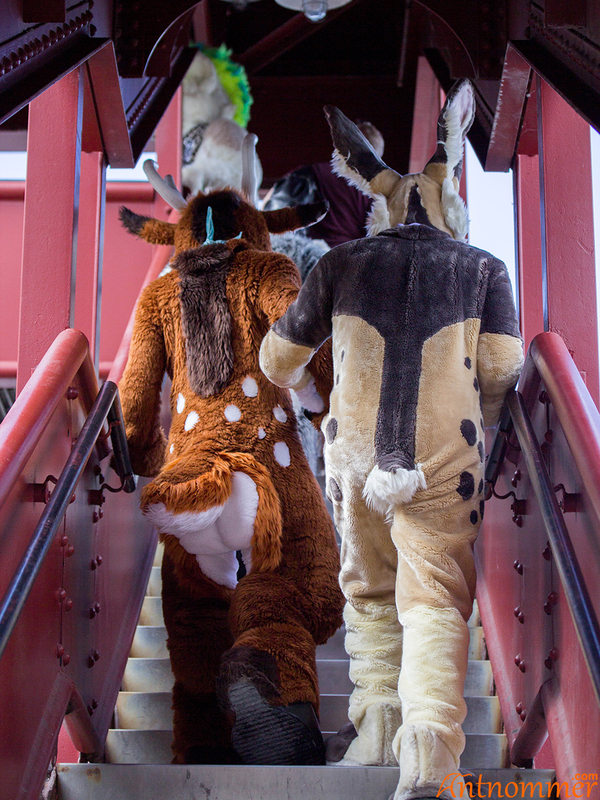 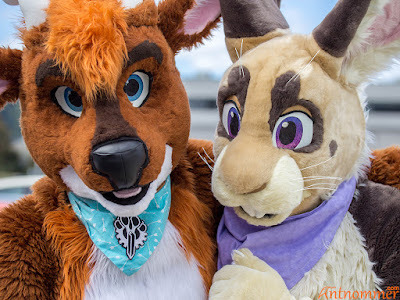 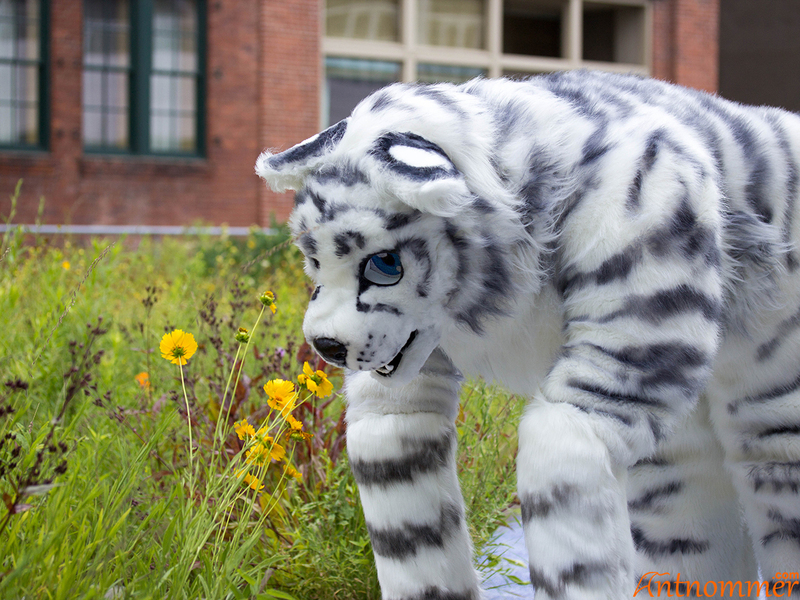 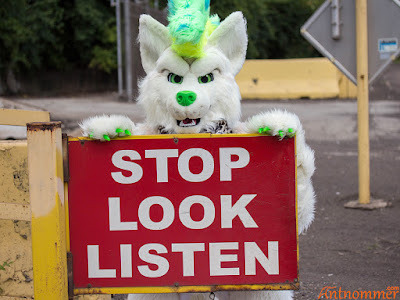 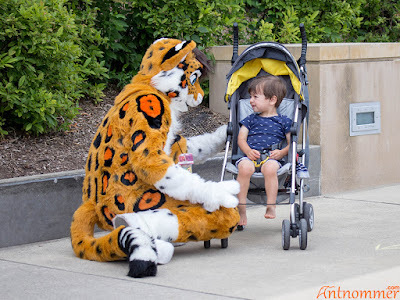 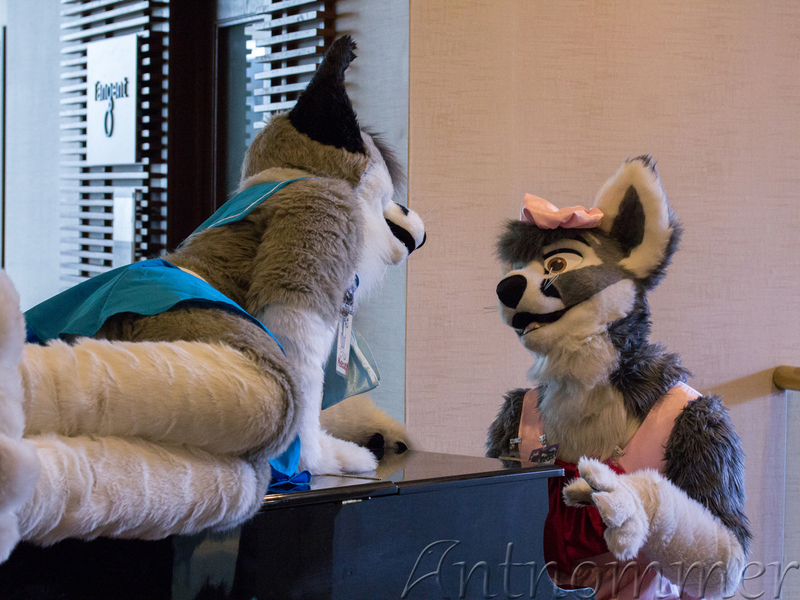 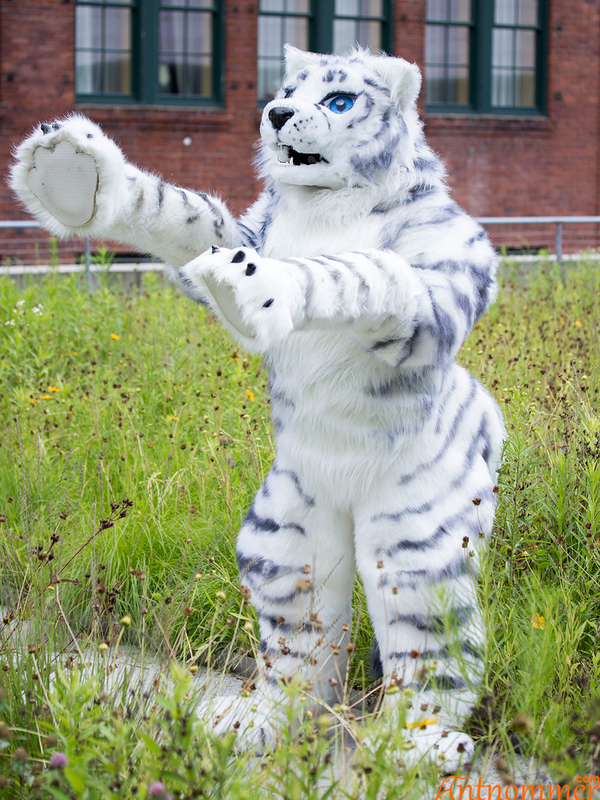 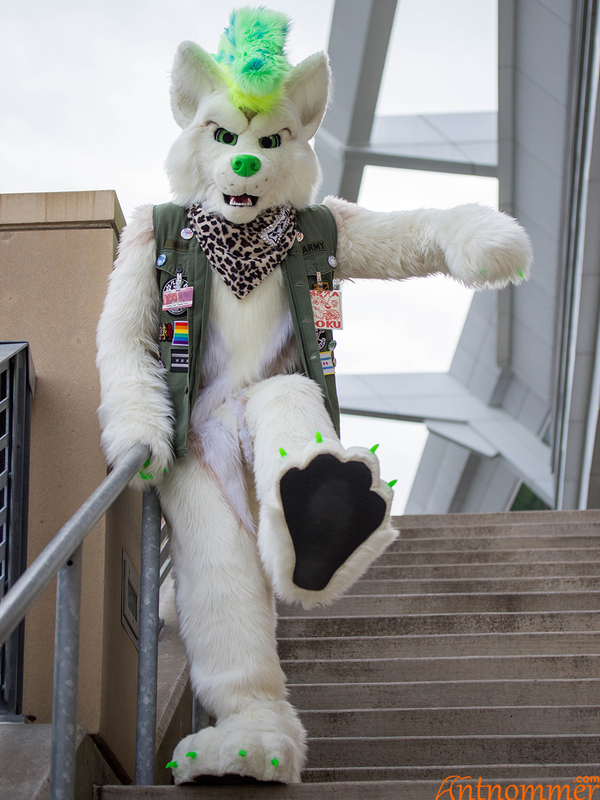 More of my photos from Anthrocon and other events can be viewed in my Flickr gallery! 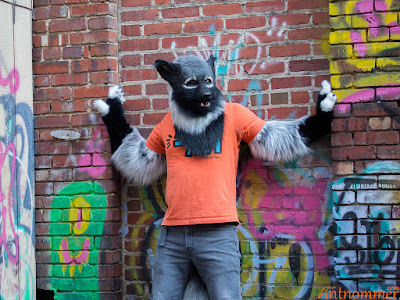 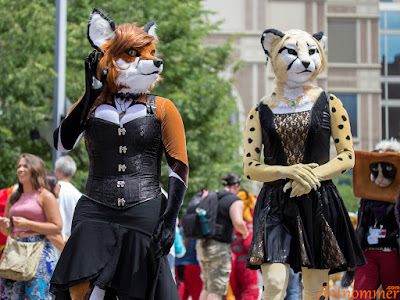 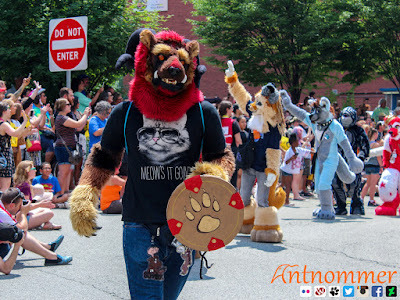 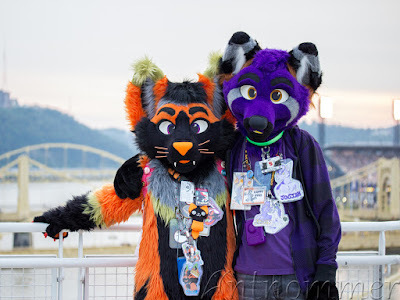 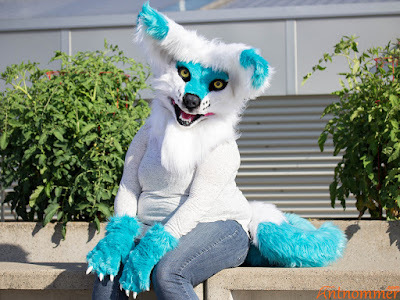 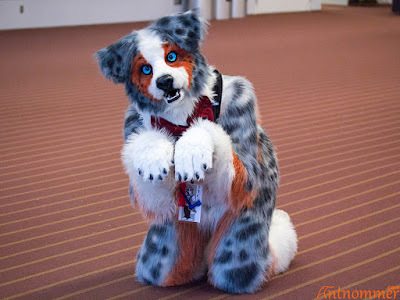 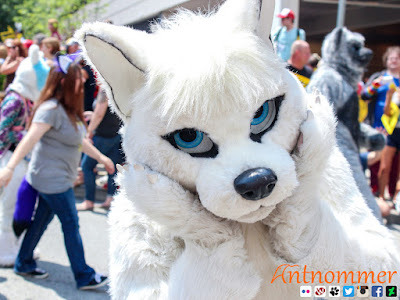 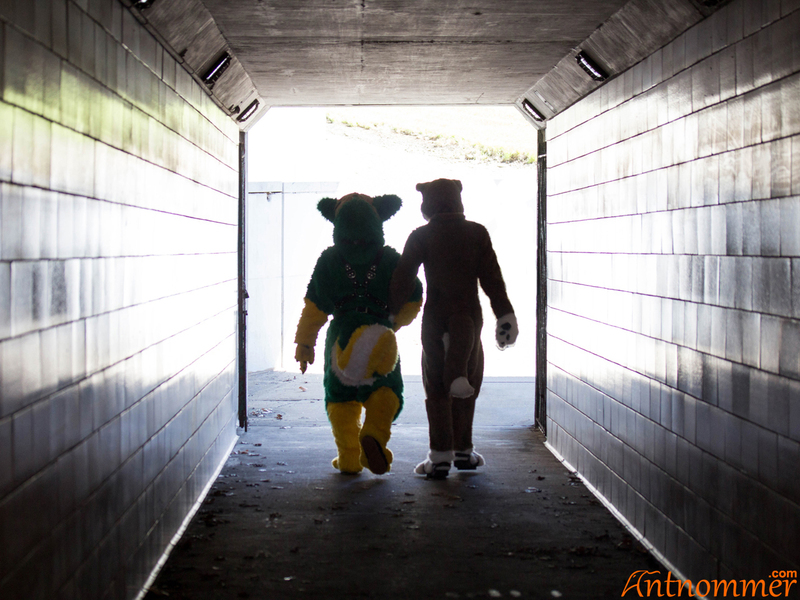 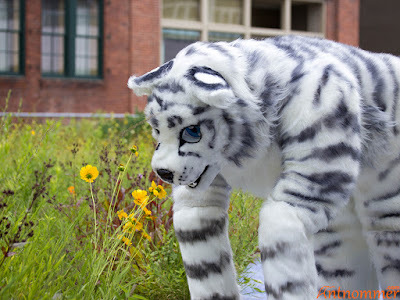 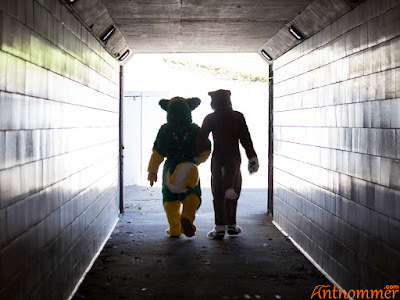 Anthrocon is the largest furry convention in the world (though it may have already been surpassed as I write this! 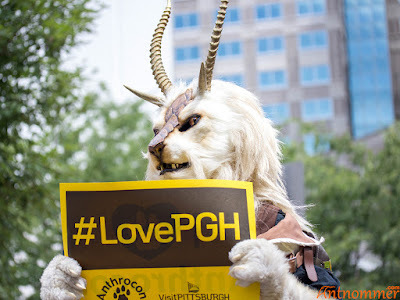 ), and is hosted right here in Pittsburgh. 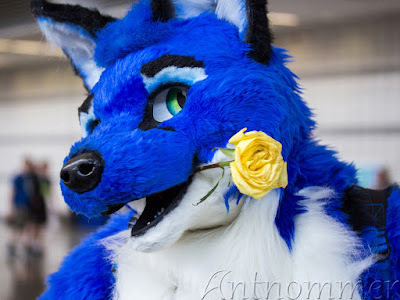 Lucky for me! 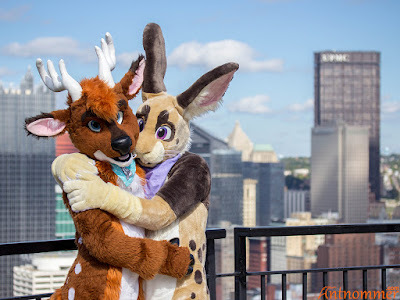 There are literally thousands of suiters wandering around, and settings like the roof of the David L. Lawrence Convention Center and downtown Pittsburgh make great backdrops. 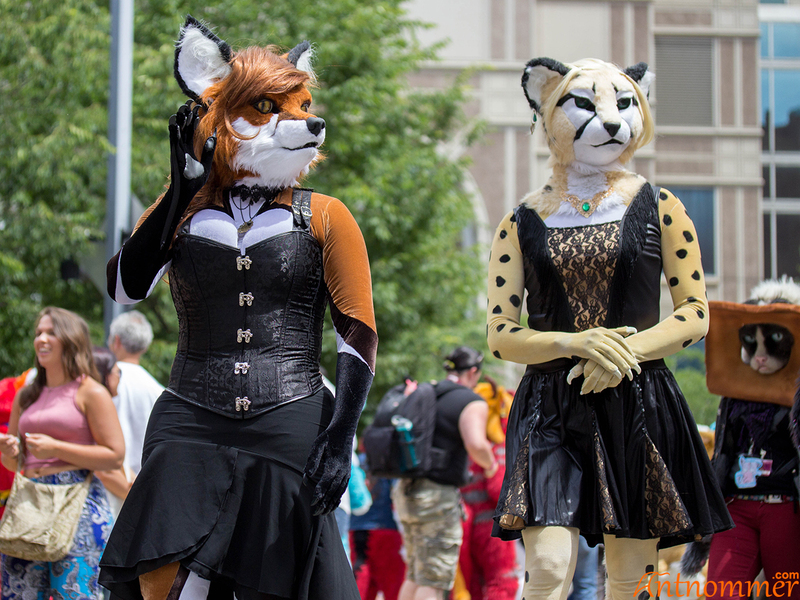 There is also a fursuit parade, which loops through the inside and outside of the convention center, drawing large crowds of Pittsburghers. 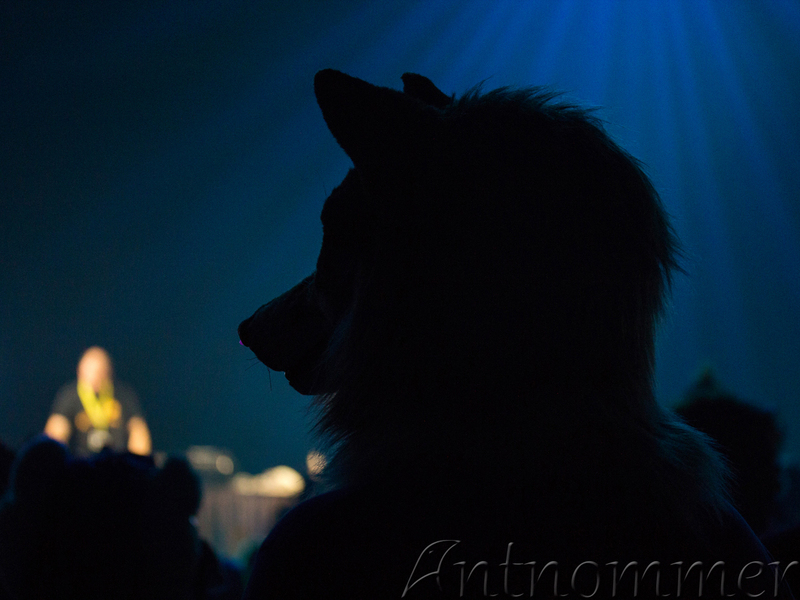 More photos can be viewed in my Flickr gallery!